Looking forward to an at-home date night may be the only thing getting you through a hectic work week. After all, what’s better than kicking back with your beau at your Forest Properties apartment? Planning a date night at home takes creativity, imagination, and some thinking outside of the box – which is where our guide comes into play. Treat yourself to a night of comfortable clothes, tasty snacks, and quality time at home with these 5 steps to a great apartment date night! A Helpful Tip: Check out these housekeeping shortcuts to ensure your living space is on point everyday of the week! Perhaps one of the most enjoyable parts of cooking at home (besides being in comfy clothes) is enjoying the features of your Lexington apartment. The two of you can get your hands dirty by making homemade pizzas, a classic seafood dish, or decorating cupcakes for dessert. Don’t have time to run to the grocery store? Check out meal subscriptions like Blue Apron and Hello Fresh to have stellar recipes and crisp ingredients delivered right to your door. With so many bustling food options in the Bradenton-Sarasota area, you and your date can enjoy local cuisine from the comfort of your own home. From fresh calzones at Palermo Pizza to freshly rolled sushi from Wild Ginger, the options are endless! Place an order for delivery through Seamless for the ultimate convenience. 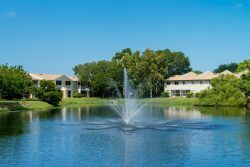 As Florida residents, we know there are a ton of outdoor activities that are perfect for daytime or nighttime dates. However, you don’t need to travel far to make the most of your surroundings! 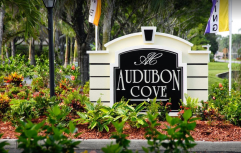 Lace up your sneakers for a bike ride around your apartment community, take a sunset stroll with your beau, or kick it back on your private balcony at Audubon Cove. These are all great ways to spruce up your average at-home date night while enjoying fresh air. 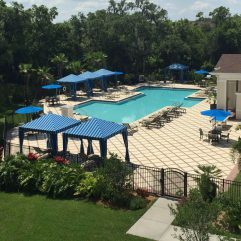 It’s no secret that Forest Properties apartments boast some of the best amenities in the Sunshine State. 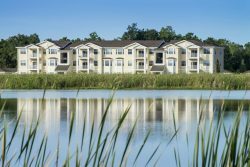 From updated swimming pools at Forest Pointe, game rooms, beautifully maintained putting greens at Ranch Lake, and grilling picnic areas, our apartment communities present plenty of ways for you and your date to enjoy time together. How do you and your beau spend date nights at home? Share your favorite budget-friendly options with fellow residents on Facebook!